The HL Compact 7ES-2 is the core of the Harbeth sound. The launch model for the RADIAL driver, the Compact 7ES-2 is the quintessential sound of Harbeth: effortless, fantastically high resolution and seductive. 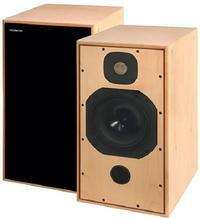 "The Harbeth speakers are amazing! They are very neutral, yet very articulate. They have quite punchy low end for their size. Drums and percussion are reproduced with stunning weight and clarity. 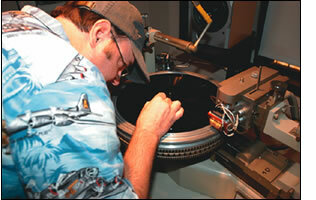 After using them as primary speakers to monitor a direct-to-disc recording, I can recommend them without hestiation!" I had seen Harbeth speakers before and dismissed them as something that looked from the 70s and built in a garage. I also thought how could a simple two way box speaker sound as good as a three way tower? They are too fat and boxy to image well, aren't they? They also seemed very expensive for what they are. After trying a pair of PSB T2s that sounded horrible (despite all the rave reviews), a dealer suggested I demo a set of these. I took him up on the offer. I am glad I did. On the first CD I immediately heard what I had never heard before. Instruments sounded like instruments, not just sound coming from an instrument, they had texture, and they were placed on the soundstage better than they had ever been before. Vocals sounded so much more realistic. The soundstage was as wide and deep as any I'd heard before. I ordered a set with Skylan stands even though it was over my budget. CD after CD and I just want to keep listening. I can't see ever getting rid of these.